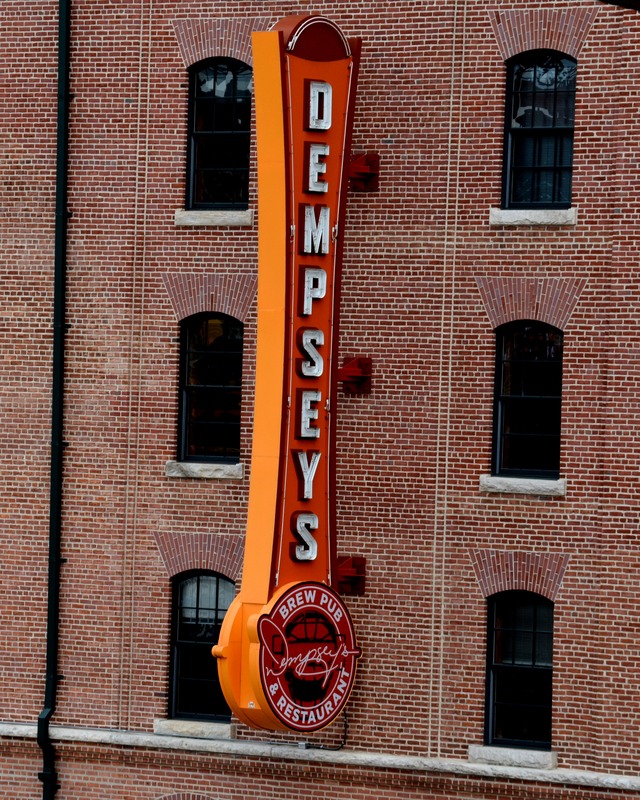 Went to Camden Yards to celebrate a friends 60th birthday Sunday. What a wonderful time and day it was. First time at the ballpark in maybe 2 seasons. 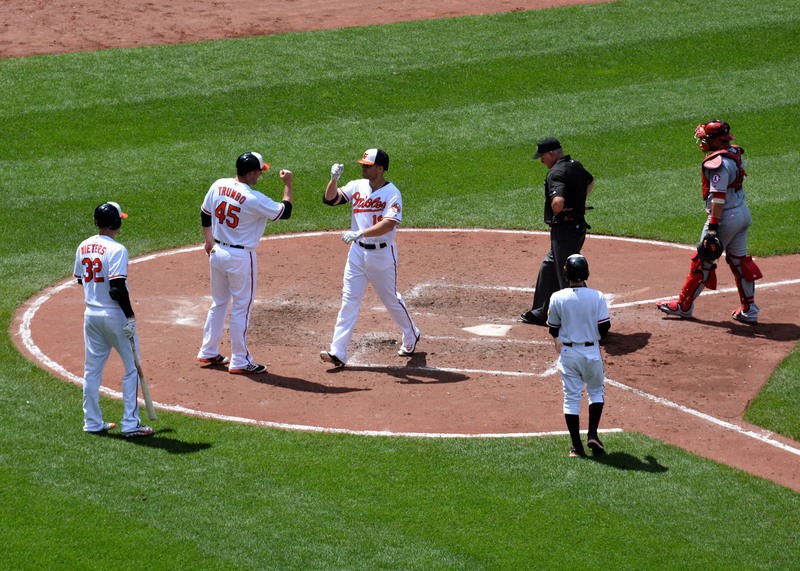 The O’s took the lead for good on a 2 run shot by Chris Davis who was greeted at home by Mark Trumbo. All I know is the organization is on the right direction again towards becoming a top franchise. 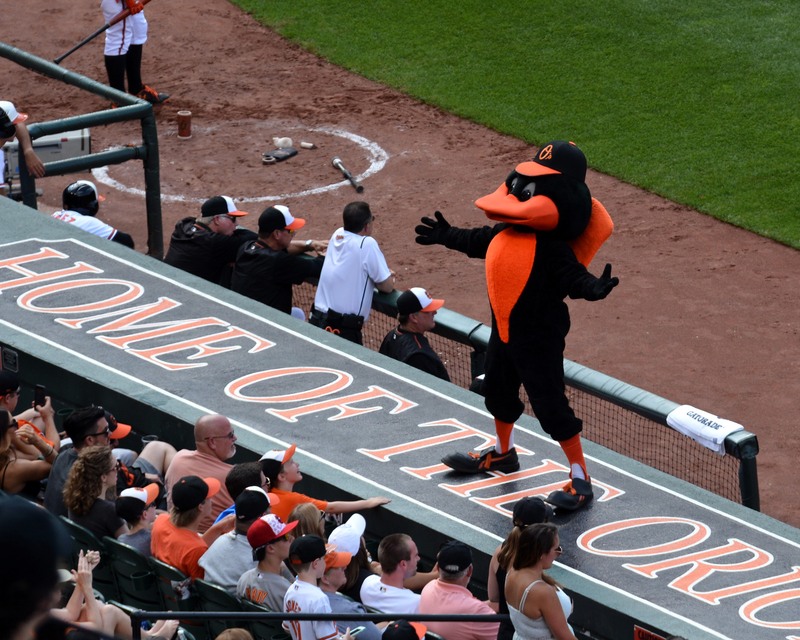 Chris Davis crosses home after a 2 run shot in the 4th. Ate well and enjoyed the action on the field. Also enjoyed the fans in the stands. So many kids. Wish more could afford it. 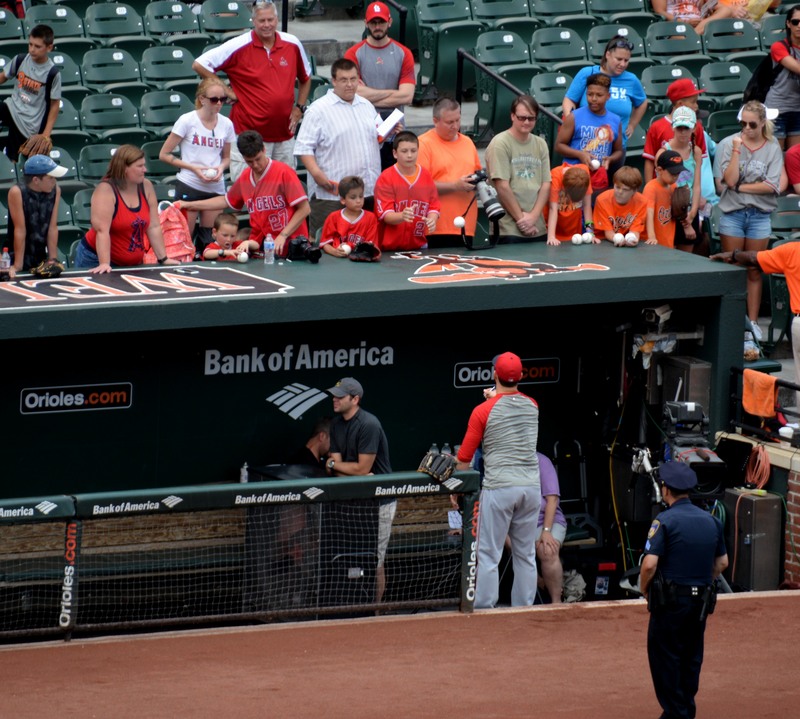 Angles player signing balls and flipping back to fan. I’ve never eaten there but I think I’ll add it to the list of things to do before a game next time. My yard could use some support if you’re not busy. So another great day enjoying the grand old game. Too bad its lost its translation to the younger generation. 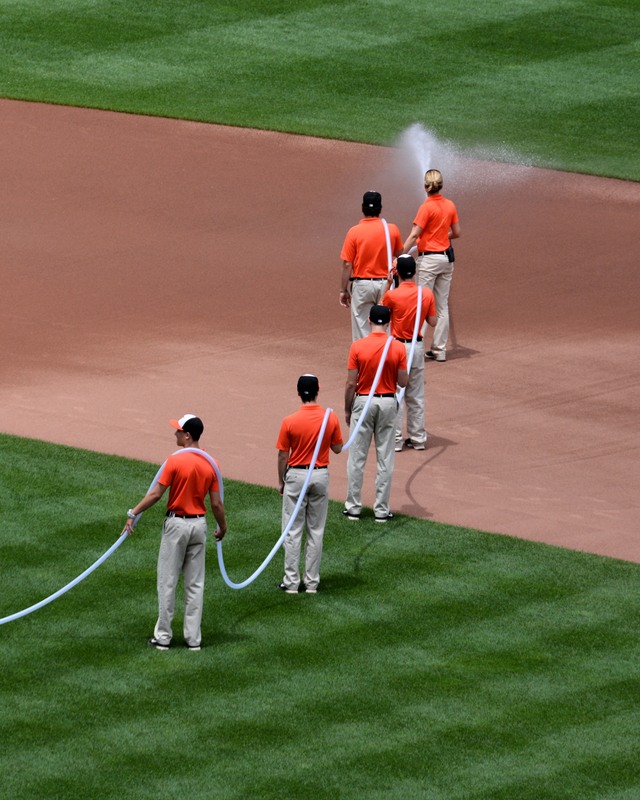 Categories: Baseball, Photography by Mike Hartley | Tags: Baltimore, Baseball, photography | Permalink. Ah the beginning of baseball season. 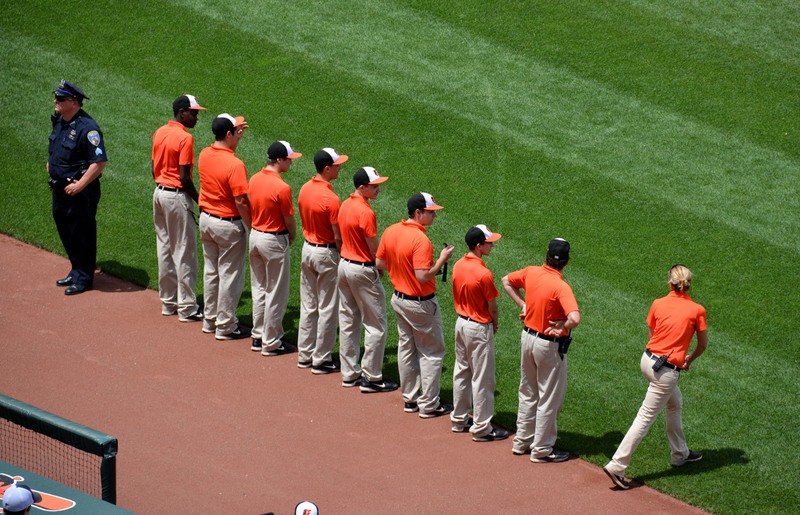 I saw the news report of Spring Training opening up with pitchers and catchers reporting. And soon to be followed by many with dreams of playing professional baseball. I always remember my Mom and her spirits increasing with the thought of the baseball flying again. She religiously followed two teams. The Yankees and the Dodgers. She was a big Brooklyn fan when she was young and told me of games there. She said she was so proud to see Jackie Robinson play the game and how horrified she would feel about things people would yell at him. Montreal Baseball Club International League 1948. This made me think about some baseball memorabilia she had left me, tickets she had of the Brooklyn Dodgers whom she knew a couple of the players. 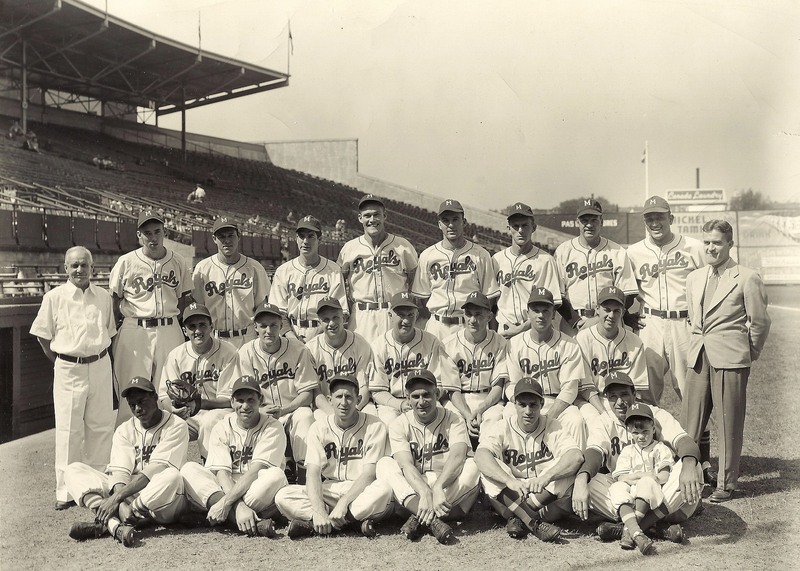 And also a photo of the Dodgers triple A team Montreal Royals. Both are from 1948. The tickets were in an envelope that she had penned a few details. They were Opening Day 4/23/1948 Tickets at Ebbets Field courtesy of pitcher Bud Podbielan. I believe Mom was a close friend to him and his wife. I know I heard her mention that family a few times. I see a clip of their wedding in the same envelope. There are a few famous faces in this photo that she pointed out to me. One is the actor Chuck Connors. Yep the Rifleman was a baseball player. Look in the back row for the tallest player and that is Chuck Conners. He actually played 1 game the next season for the Brooklyn Dodgers. The other person who went on to become an accomplished major league player was Don Newcombe. Till recently he was the only baseball player to have won Rookie of the year, MVP and Cy Young awards in his career. He is in the back row also and the last player standing on the right. This is the year before he went to the big leagues also. The other piece of history she left me with of the Dodgers was tickets to Ebbits field on opening day in 1948. There are two of them that are identical. You know why. You sat in a box, you had no seat number. The ones that were open were yours? At least that is what I’m guessing. How bout that ticket price of $2.08. That $.42 cent tax seems a bit high? Anyway at one time a few years ago I took this along with a few old baseball cards I have of some value to a couple of places to see their worth. At the time those prices were quiet a bit lower than I had seen in the past for the cards and I decided to continue to hold onto them. I was given a few names that would be interested in these pictures/tickets but I never pursued it and I’m glad. I think I’m going to hold onto them, maybe even frame them and pass them along to the kids someday. Kind of like a family baseball history thing. Sometimes things no matter their worth are sometimes worth more because of the history and meaning to some. My apologies for the absence again. Health and work were both out of control and I’m working on sleeping right which really cuts into the hours of the day. But I’m climbing back on the horse and trying to get productive here and a few other spots again. Categories: Baseball, Life | Tags: Baseball, life | Permalink.